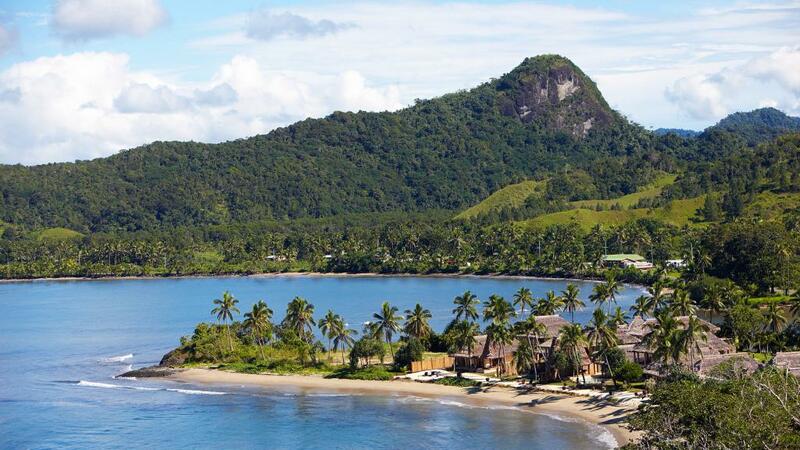 Picture perfect, Nanuku Auberge Resort is set right on the beachfront overlooking the turquoise waters of Beqa Lagoon in Pacific Harbour. 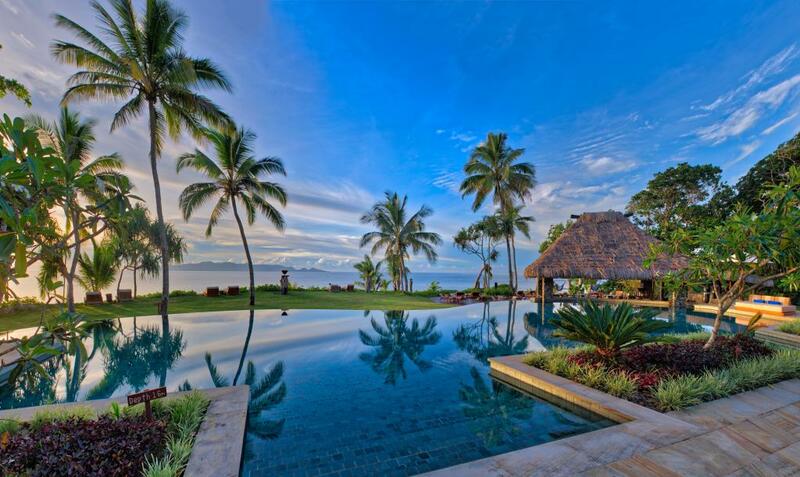 This luxury five star Fiji accommodation is simply paradise and can be easily accessed from Nadi International Airport which is only two hours drive or just under an hour away from Suva Airport. 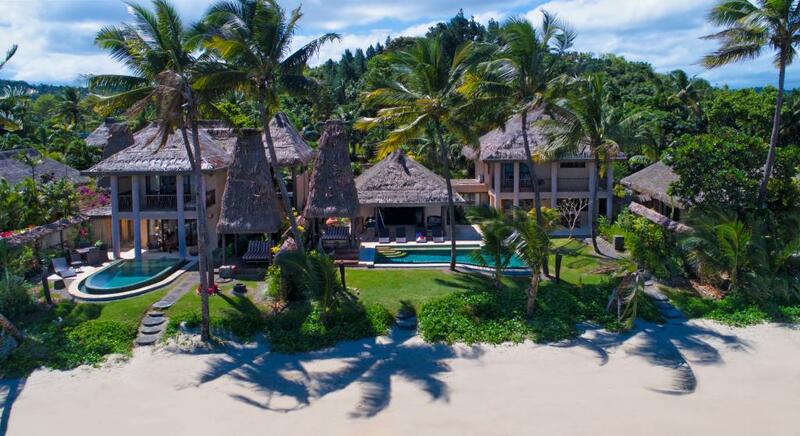 For those who wish to start their Fiji holiday a little sooner Nanuku Auberge Resort can be accessed via chartered plane transfers or helicopter. 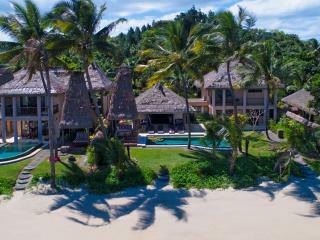 Guests will be able to enjoy a relaxing and memorable Fiji holiday at Nanuku Auberge Resort, selecting from a number of room types that suit the needs of singles, couples, families or large groups. 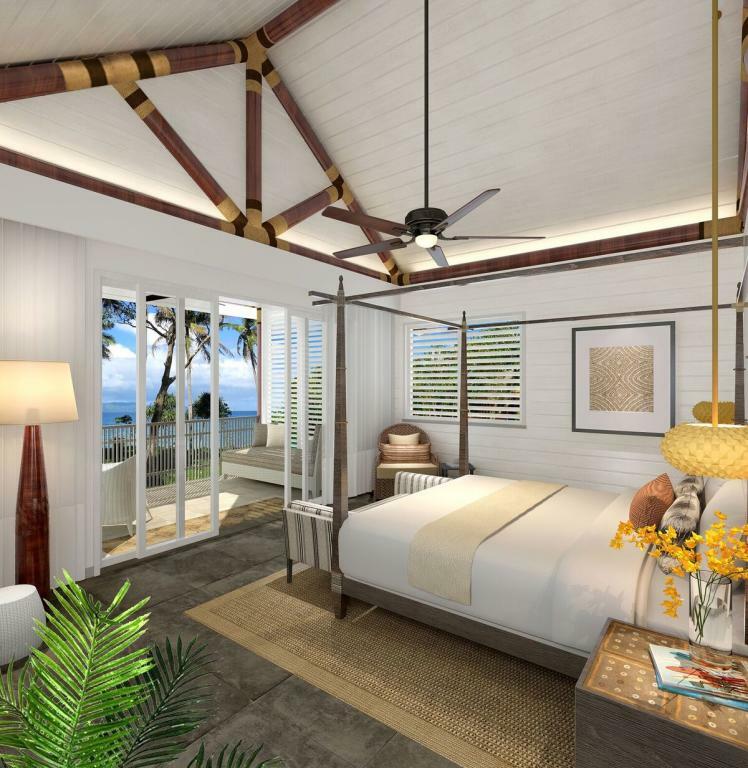 The Suites are ideal for couples or while the Villas and Residences are perfect for couples, families or groups. 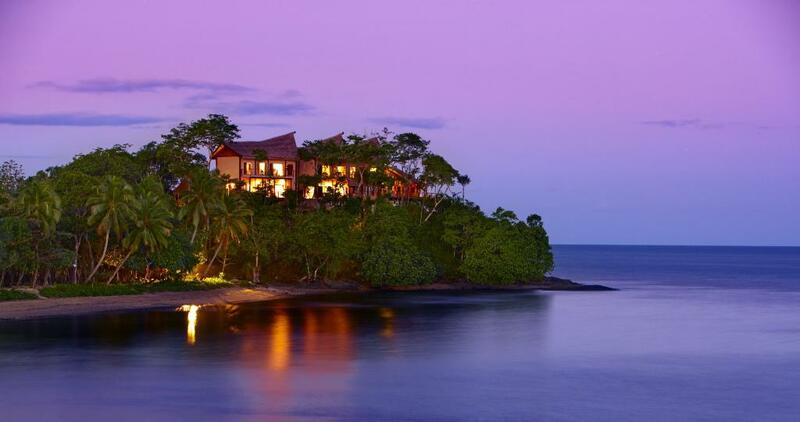 This Fiji accommodation offers beautiful suites which are set up in an elevated location amongst the treetops overlooking the Beqa Lagoon. The Suites have features such as a gorgeous deck, some with private pools. 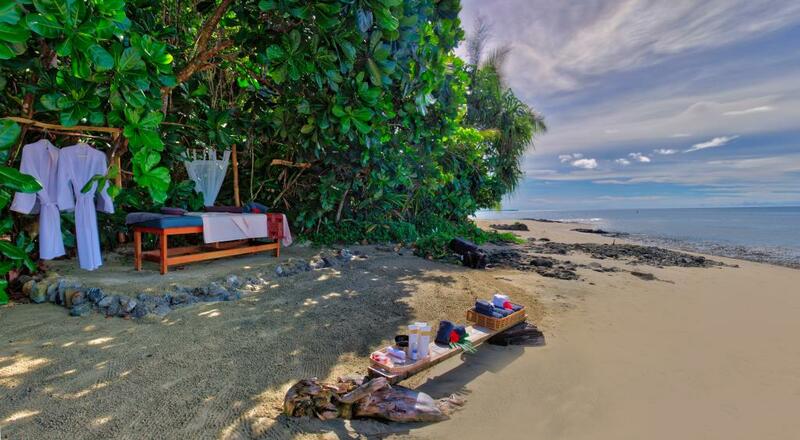 The rooms can accommodate couples separately and also have options available for larger groups offering a private Fiji experience. 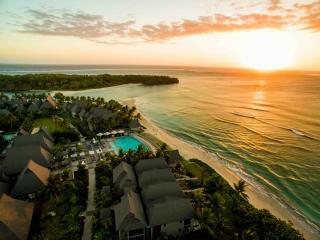 The Villas and Residences are set close to the beach with expansive living and dining areas. The Grand Villas feature full kitchen facilities making them perfect for families or for those who enjoy entertaining. 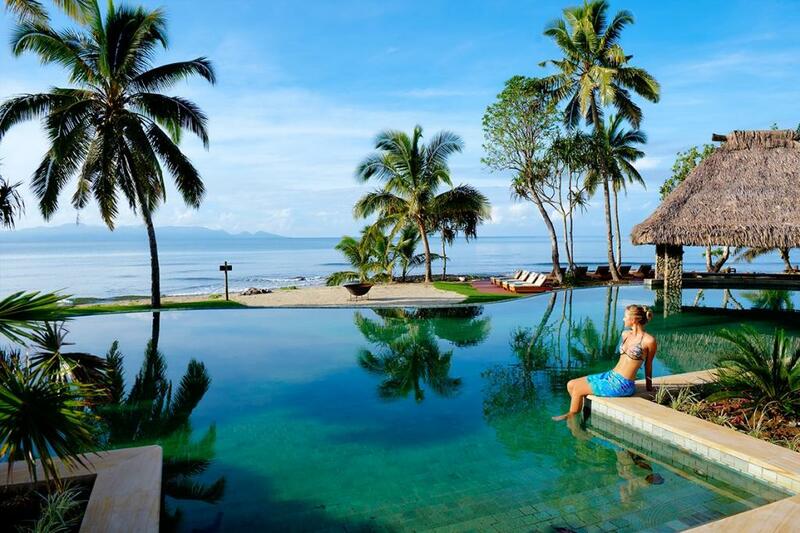 Nanuku Auberge Resort Fiji is home to a wide range of facilities and services which will help to ensure a comfortable, relaxing and memorable Fiji holiday. Guests have access to a daily butler and nanny service, a wide range of complimentary activities & non-motorised water sports, the kids will have fun and make new friends at the kids club, the adults can indulge at the day spa or head out for the day as a couple or family to experience one of the many outside activities including diving, fishing, horse riding, zip lining or rafting. At the end of the day guests are welcome to attend the complimentary drinks and canapes on the deck overlooking the horizon swimming pool and Beqa Lagoon. 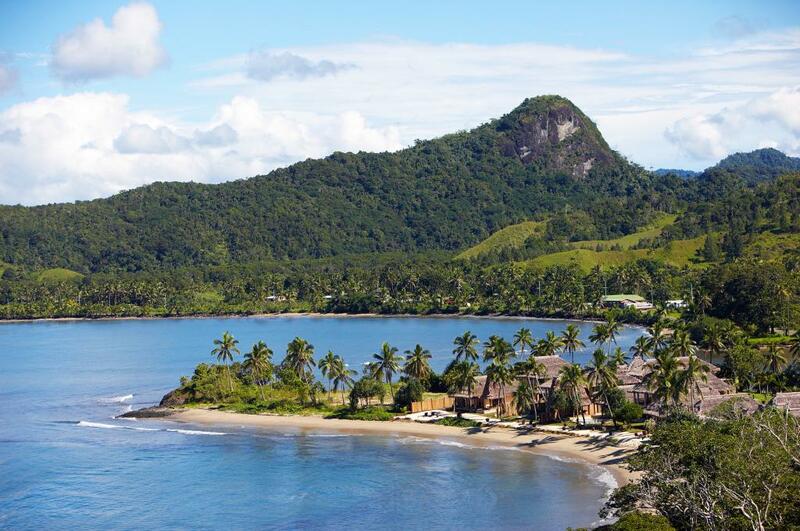 For a luxury experience that you will never forget why not stay at Nanuku Auberge Resort. 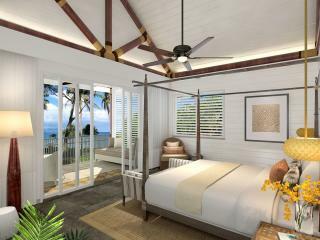 There are four types suites at Nanuku Auberge Resort to choose from. The Nanuku Suites enjoy beach access and ocean or tropical garden views, whilst the ground floor Beachfront Pool Suites offer a beachfront location and private plunge pool. Nanuku Suite: This room is the upper level of a 2 Bedroom Beachfront Duplex Pool Villa. Overlooks the ocean or resort gardens. Bedding is 1 King Bed + 1 Single Divan Bed + 1 Sofa Bed. Maximum room capacity is 3 Adults OR 2 Adults + 2 Children. Beachfront Pool Suite: This room is the lower level of a 2 Bedroom Beachfront Duplex Pool Villa. 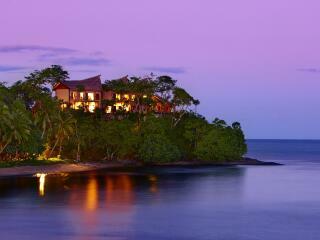 Overlooks the beach and resort gardens. Bedding is 1 King Beds + 1 Single Divan + 1 Sofa Bed. Maximum room capacity is 3 Adults OR 2 Adults + 2 Children. 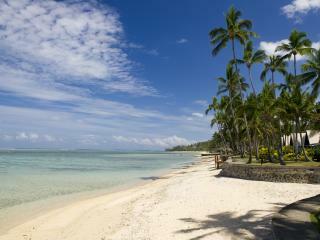 The Villas are perfect for adults and children and boasts a fantastic location right by the beach side. 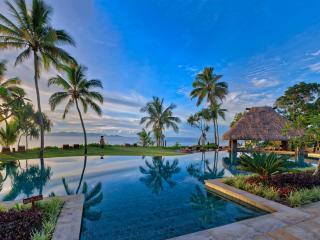 The expansive residences and villas are surrounded by lush tropical gardens and offers its' own private garden. Room configurations can be altered on request. 1 Bedroom Auberge Garden Villa: 83m². Excellent choice for couples. 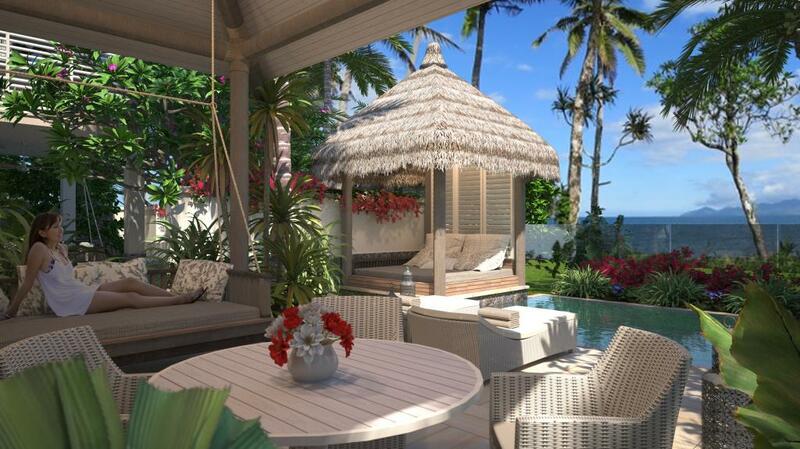 These Villas are set amongst lush tropical gardens and just a stroll from the beach. These villas can connect to another Garden Villa and room configurations can be altered on request - please see your consultant for assistance, pricing will vary accordingly. Bedding is 1 King Bed + 1 Sofa Bed. Maximum room capacity is 2 Adults OR 2 Adults + 1 Child. * Rates available from 22 November 2018. 2 Bedroom Auberge Garden Villa: 172m². 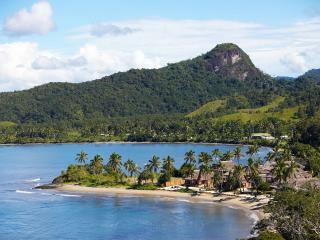 These Villas are set amongst lush tropical gardens and just a stroll from the beach. These villas are two storey with living and dining downstairs and a fully equipped kitchen. Master bedroom features balcony. This villa can connect to another 2 Bedroom Villa making it a 4 Bedroom Villa, room configurations can be altered on request - please see your consultant for assistance, pricing will vary accordingly. Bedding is 1 King Bed + 2 Queen Beds. Maximum room capacity is 4 Adults OR 4 Adults + 2 Children. * Rates available from 22 November 2018. 1 Bedroom Auberge Beachfront Villa: 83m². 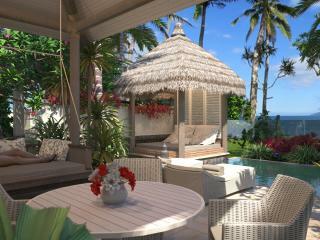 These Villas are on the beachfront and feature uninterrupted ocean views and offer complete privacy. This Villa can connect to another Beachfront Villa making it a 3 Bedroom, room configurations can be altered on request - please see your consultant for assistance, pricing will vary accordingly. Bedding is 1 King Bed + 1 Sofa Bed. Maximum room capacity is 2 Adults OR 2 Adults + 1 Child. * Rates available from 22 November 2018. 2 Bedroom Auberge Beachfront Villa: 172m². Set on the beachfront and offer uninterrupted ocean views and complete privacy. These villas are two storey with living and dining downstairs and a fully equipped kitchen. Upstairs features Master bedroom with balcony and a second bedroom. This villa can connect to another 1 Bedroom Beachfront Villa making it a 3 Bedroom, room configurations can be altered on request - please see your consultant for assistance, pricing will vary accordingly. Bedding is 1 King Bed + 2 Queen Beds. Maximum room capacity is 4 Adults OR 4 Adults + 2 Children. * Rates available from 22 November 2018. 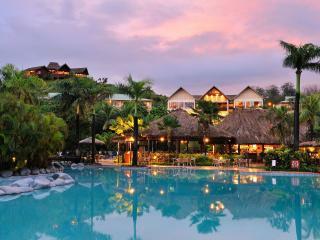 The Kanavata Restaurant & Lounge Bar: Offers a fantastic location in The Club House which is the main hub of the resort. The restaurant overlooks the swimming pool and out to the ocean. There is a deck where guests can enjoy amazing sunsets by the poolside. The restaurant is open daily for breakfast, lunch, tapas and dinner with a wide range of cuisines available using fresh and imported produce. The menu changed regularly and can cater for a variety of dietary needs. Wai Pool Bar: This swim up pool bar is the perfect place to grab a refreshing cocktail. Lomana Spa & Wellness Centre: The day spa at Nanuku Auberge Resort offers a journey for its guests, with a variety of massages and treatments available to suit each guests needs. 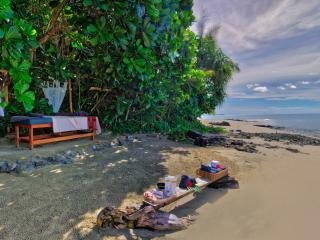 There are two outdoor treatment pavilions and one indoor treatment room with Pure Fiji product used for the treatments. 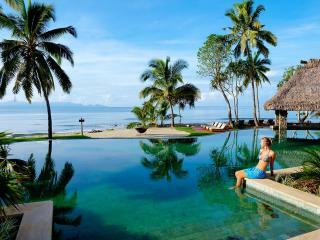 The Lomana Spa & Wellness Centre is the perfect place to let down your hair and just relax while holidaying in Fiji.